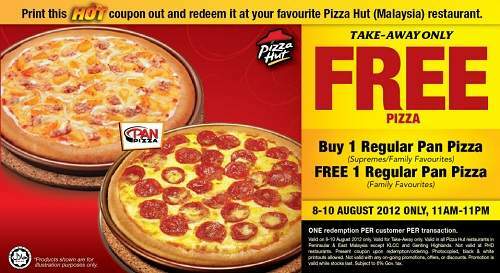 Location: All Pizza Hut restaurants in Peninsular & East Malaysia except KLCC and Genting Highlands. Not valid at PHD restaurants. Print the HOT coupon below and redeem it! ONE redemption PER customer PER transaction.